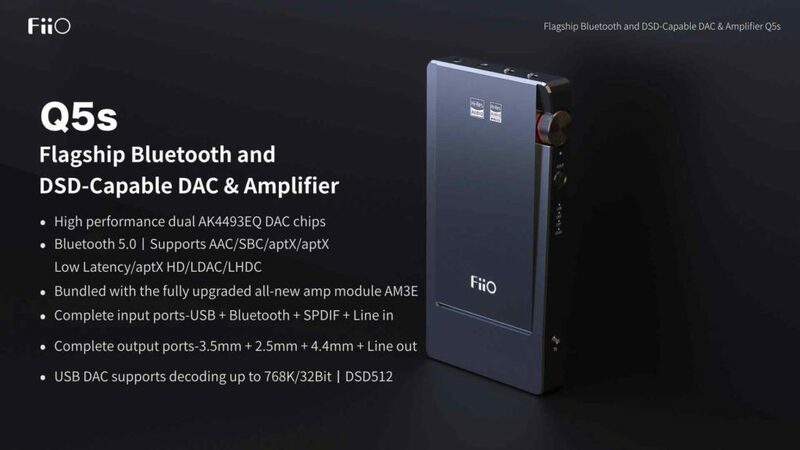 Along with the FH7, FiiO has also announced the new portable DAC / Amp model called Q5s to replace the current Q5 at the event in Guangzhou, China. FiiO Q5s comes with many significant upgrades based on the feedback of the user community. 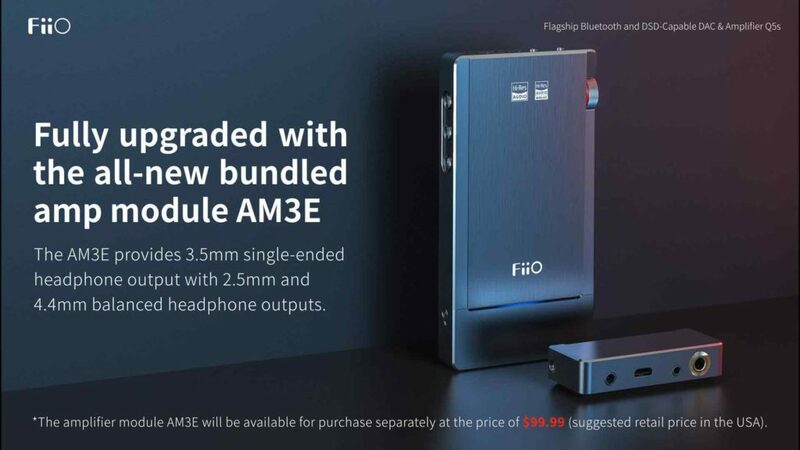 FiiO Q5s still hold $349.99 price and will be available to users by the end of May this year. It is FiiO ‘s extremely powerful portable DAC / Amp circuit with the ability to change the amp module nicely. It still retains the previous features of Q5 and made a high-end portable DAC / Amp and a handy Bluetooth receiver. The overall design of the Q5s is not much different from Q5. The whole body is still made of aluminum material which is conveniently CNC in the same way and the back made of high-quality PU leather. The button and wheel volume are upgraded to provide comfort and ease of control for users. The Volume section also works as the power button and battery capacity button. Another noteworthy point is the redesigned input signal, battery life, and DSD standard so users can easily control the DAC / Amp more. 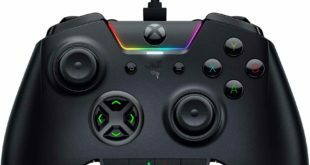 The LED part on the front of the body is used to notify the Bluetooth codec that the user is connected to. 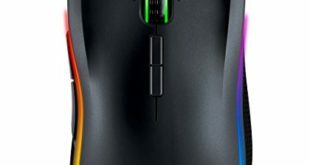 Regarding hardware, Q5s products are comprehensively upgraded compared to previous Q5 products. Firstly, the new DAC Chip uses two new AK4493 chips running in Asahi Dual Mono mode Kasei Microdevice replacing the previous AK4490 model. Specifications of Dual DAC AK4493 impressed THD+ N: -113dB and S/N: 123dB. The USB Receiver has also been upgraded using the latest XMOS USB chip, XUF 208, which makes it possible for Q5s to decode the input signal up to 768kHz PCM and DSD 512. A USB connection with two USB 1.0 and 2.0 standards, in which USB 1.0 standard you can easily Plug and Play without any additional installation. 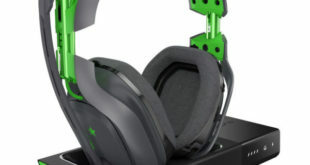 The wireless connection also uses Qualcomm’s top Receiver chip, which can decode 24bit audio, CSR8675. Help users to use FiiO Q5s as Bluetooth Receiver with the highest quality sound today. Q5s support almost all current hi-res Bluetooth codecs like aptX, aptX HD, aptX LL, LDAC, HWA, AAC. The internal circuit of Q5s is designed using high-end components such as 4-channel volume control IC chip with Panasonic Film capacitors and Full Balanced / LPF amplifier circuit. The input port of FiiO Q5s is also sufficient for users with USB, SPDIF, Bluetooth and an Analog Line-in. FiiO Q5s will still be compatible with previous Amp modules. However, this new product will also be equipped with the new AM3E amp module, which costs $99.99 if purchased separately. The AM3E is equipped with a 3.5mm single-end port and up to two 4.4mm and 2.5mm balance ports to meet every user’s needs. 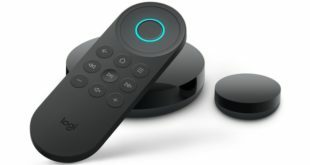 In addition, FiiO also equipped Q5s with some new features such as automatic shutdown when not in use, not using the source of connected devices and more. The battery life of Q5s is quite good up to 9 hours of continuous use. 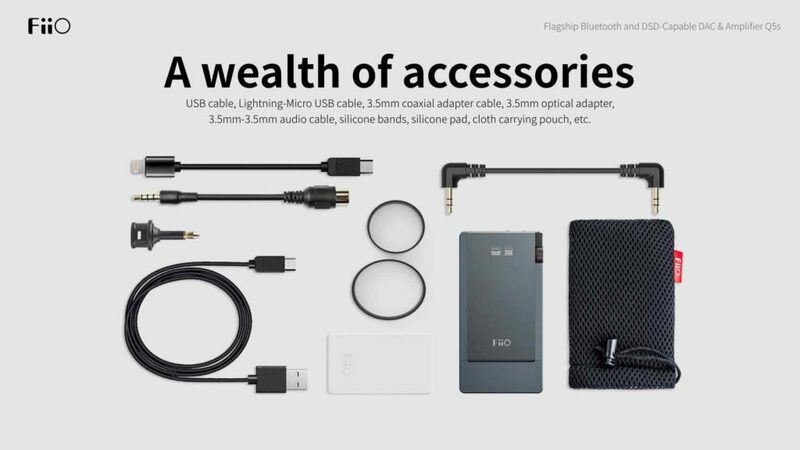 The Q5s products are also equipped with a lot of accessories such as USB cord, Lightning – Micro cord, Coaxial, Optical and IC 3.5 – 3.5 wires, silicone wire, silicone pad, and DAC / bag. amp. In addition to this introduction, the company also launched two new AM3C / AM3D and AM3.5PRO amp modules. In which AM3C and AM3D are the same amp module model with only different names (AM3C is the name for the Japanese market, and AM3D is for the international market). This is the first module of the FiiO that meets the THX standard with Balanced Amp circuit using THXAAA-78 design circuits. The Output of AM3D includes a single-end 3.5mm port and a 4.4mm balance port. The technical part is also improved compared to the previous AM3B model. The expected price of AM3D is $149.99 and will be released at the end of May. The AM3.5PRO model is a special amp module exclusively for the Chinese market and will not be sold in the international market. Using the design of AM3B, AM3.5PRO will change 4.4.mm balance port to 3.5mm balance port.